About 5 minutes and 41 seconds reading time for this 1.3K word page. Open Letter from Neighbors to CEP Properties LLC. Denham Springs LA 70726. We believe a well maintained neighborhood helps communicate that we are a community neighborhood that cares. It all started in the late 90's. Residential property was sold, homes abandoned, vacant lots purchased all with big hopes and dreams of cashing in on the area. Most that came in with this thinking ended up flipping the property or just letting it go to waste as in the case of CEP Properties LLC. 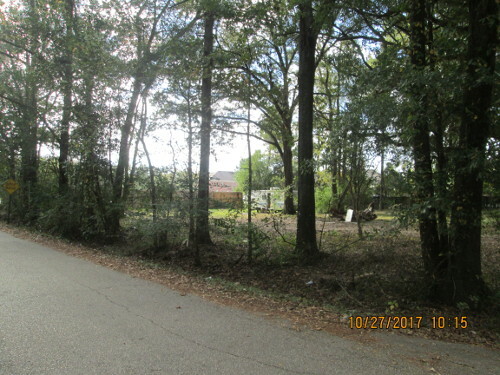 In a sample one block area of Shelly's Homesites the neighbor pointed out to the mayor of Denham Springs 10 of 15 homes owned by investors or used as income properties were not up to city code when it comes to grounds maintenance. Shelly's Homesites in Denham Springs brings many different flavors of homes and all walks of life. We have fixed income, low income to middle income households living in the subdivision. We have homes ranging from 700 to 2700 square feet and properties much larger than many newer subdivisions. Everyone does their part at keeping our neighborhood properties clean and safe. We even have people that sweep the streets after they mow their lawns. Even a few that rake their drainage ditch twice each year to keep the culverts clear. That's 5 out of 15 in the end of the subdivision close to Veterans Blvd. 5 out of 15 properties that the mayor looked at were kept clean and neat. What does it take to get people to keep their investment properties up? One neighbor of 27 years has some landlords on speed dial and used to simply call them to get things done. Now that doesn't work, they ignore him because he is one person. Another property owner that has liveed in the subdivision for 15 years can show clearly how some just disregard city codes and build over property lines like they owned the property next door. Others collect junk and sell junk as a Salvage yard; no one complains but everyone knows. It wasn't until our homes started getting appraisals of one third the value we once had. It's not due to the flood, this trend started before the flood and after Gustav. Let's say the neighborhood didn't change and the people that were not keeping their properties up really let them go the last 7 years. 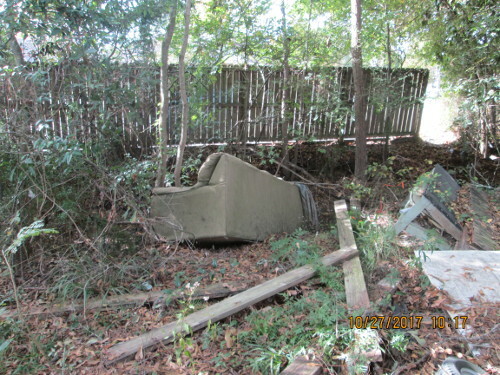 One property owner that comes to mind is CEP Properties LLC of Denham Springs. The property has no real structures on it and it was never kept clean and clear as other neighbors had to do. This property allowed saplings to grow into trees in and near the drainage ditches. They allowed salvage to be collected and stored, mostly mufflers and catalytic converts. They dump old furniture and tires in the back drainage ditch. Update 6-23-2018: This pile has been removed as of this date. Not bad for a Denham Springs Investment land owner that has had special favors from city government since 1996 regarding this property. Still asking more than twice market value for the street, you can find other properties better for building than this one. You might learn one day Mr. Prescott that posts online are forever as long as you treat R1 neighborhoods as your private dump we will continue to point out what type of business person you are. The brush pile soon had household goods from bedding to kitchen plates tossed on top from the rental units on Beech St.
Now totaled vehicles with complete front damaged are being stored on Beech St. Not to mention the flooded SUV in the right of way. 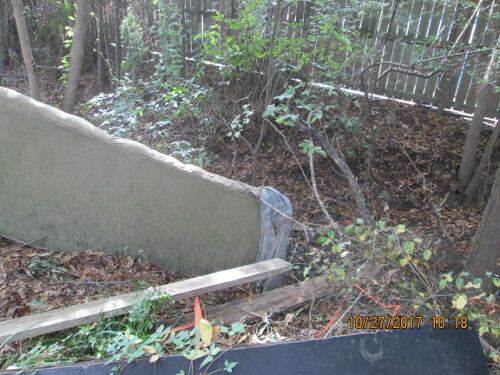 It appears the owner, CEP Properties LLC, does not manage this property as an investment and from some neighbors it seems he knows he disrespects the neighborhood by not keeping it clear, safe and clean. We have 50 foot Right of Way on our streets to which CEP Properties LLC does no clearing. 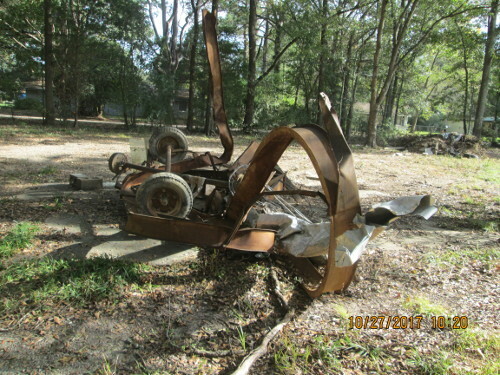 We have scrap metal ordinances that are ignored. We have had drug dealers working from this property, shootings from this property and when compared to the total subdivision, this property has been a magnet to those that just don't feel like following basic rules of the city. Many years ago it was rumored that Juban Crossing was actually to be built off of Veterans Blvd. Many local investors were buying up properties and attempting to rezone as commercial. We all know Juban is on Juban Lane, and Juban Crossing is not Shelly's Homesites. But some of these investors still hold hope for a commercial come back. It's thought that if more commercial property is allowed to decay the values of homes would drop, and it would be easy to buy up. They have done their homework, but they didn't think about the neighbors not willing to allow a select few to influence the masses. Those that did go commercial and did so for investment learned quickly that their land was worth no more than it was residential. Many of the properties that had homes were flipped. Others were rented and those that owned properties with no income value like the property owned by CEP Properties LLC were simply abandoned to trailer renters. From the corner of our property we can clearly see the repeat offenders of the worst property management in the world. It's almost ironic that the worst property owners are the ones called CEP Properties LLC to which we have 3 registered businesses that own property of little value and do no property maintenance to. When we say proper maintenance we are talking about what a normal residential homeowner is required to do by city standards. Anyone that owns a home would have been warned over and over, but business owners seem to be allowed to do as they please. Not anymore according to the New Mayor of Denham Springs. He claims to not play the favorites game. And we neighbors are not holding our breath. But, it is nice to here. 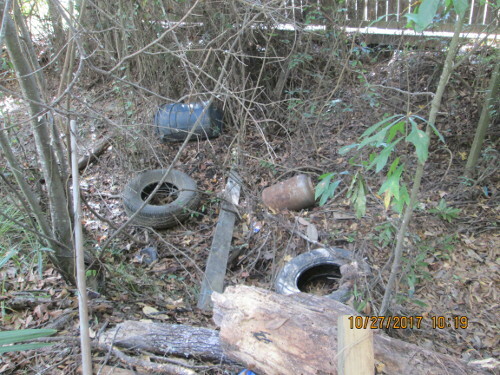 So below is our neighborhood update, 7 days and 14 days since the city ordered CEP Properties LLC to clean up their lot. You can clearly see they cut the grass, hauled anything of value that could be sold or was sold off and dismantled the RV storage shelter. What they didn't do was tow away an abandoned trailer and the underside of one of the older trailers. 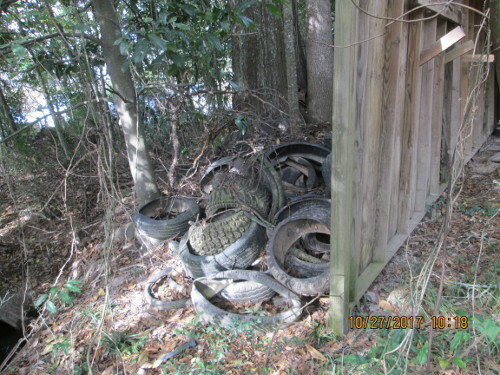 They also clearly thought it wasn't their EPA responsibility to safely haul tires stored on the property and the furniture must have slipped their minds. The Drainage Ditch on the back of the property is the responsibility of the land owners. 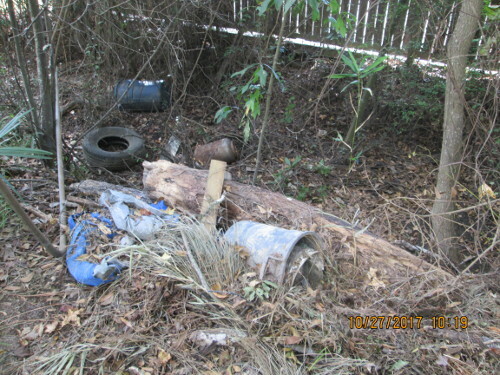 Do not use the August 2016 flood as your excuse, we have pictures of hundreds of mufflers and scrap iron collected and stored on your property. We have witnesses of drug dealing. We have witnesses of shootings from your property. You are in part the problem with neighborhood decay. We neighbors will not stand by and allow this to continue. We neighbors also have a SOLUTION if you are unable to understand the issue. 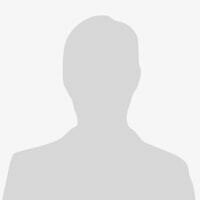 First, apologize publicly to all those in the area that have complained about your business practices regarding your CEP Properties LLC. 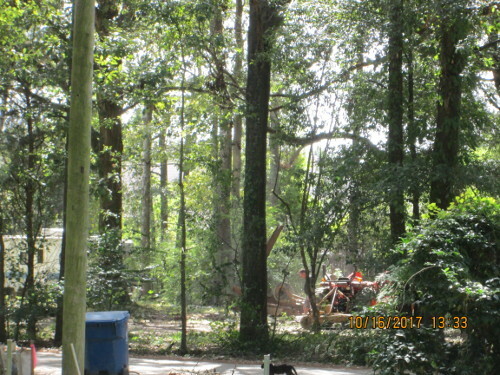 Second, pay for the labor, supply the trucks and chainsaws, and we neighbors will oversee the property clean up just as if it was our own property. We only help those that are willing to help themselves. Business: DENHAM SPRINGS RADIATOR & GLASS, INC. Address 1: 125 S. RANGE AVE. Note: Assessed Value is 10% of resale value. This lot would be valued at roughly $13,000.00 if cleared and ready to build on. Typically lots in the area are going for $9,000.00 for 50x110 and 50x120, 60x150 lots are $12-$15,000. Then you have some parcels that are double and triple lots. The typical new home build size is 1,400 sqft. Single story. 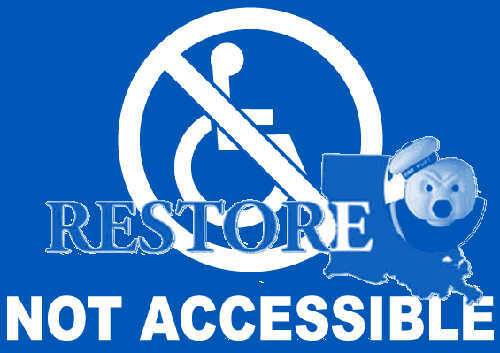 Due to the fact the owner of the property located at 220 Beech St. Denham Springs LA. 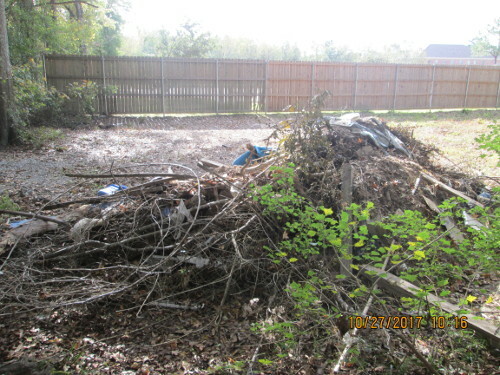 70726 has not been held to the same standards as residential land owners in the same subdivision and knowing the city of Denham Sprigns has been notified in writing and same notice hand delivered to the Mayor of Denham Springs on Oct. 11 2017. Neighbors which would like to see the same standards of cleanliness and neigbhors that wish city ordinances to be enforced equally to all call for the Boycott the Denham Springs Business owner Chris (Chuck) E. Prescott and Denham Springs Radiator and Glass, Inc.
We sincerely hope the tax revenue to the city lost from those Boycotting Denham Springs Radiator and Glass will have the positive impact and positive motivation to enforce rules that have not been enforced on this property since CEP Properties LLC took ownership. Join the #BoycottDenhamSpringsRadiatorGlass on Facebook and Twitter. Chris Prescott has now listed the property as a "For Sale By Owner" and is asking $75,000.00. 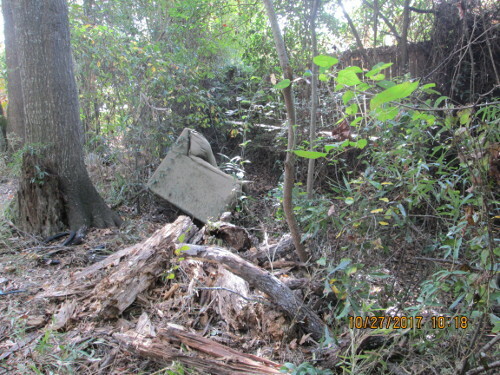 It appears he is attempting to avoid paying for clearing of the trees from the Right of Way and he also stated he will not be cleaning the open drainage ditch at the back of the property from the debris and trash that is shown in the pictures above. The neighborhood has suffered enough at the hands of land owners like Chris Prescott, we will be once again reporting this property to the city. Maybe Mr. Prescott will get the hint and start keeping his properties maintained. If not, it may be a very long time before anyone even offers on the property. Typically lots are 60x150, which go for $10,000.00 to $13,000 each. 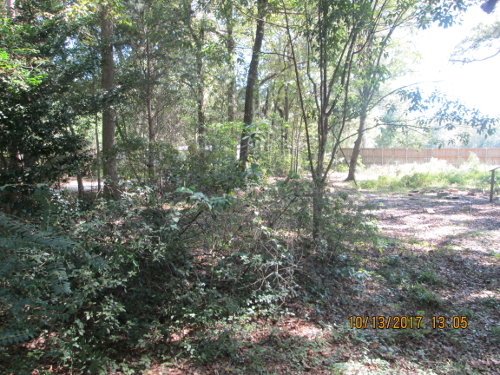 Commercial property will require Right of Way cleared and you can bet the street traffic will be monitored very carefully since this is a R1 neighborhood and not an industrial or office building area. You would be better to look on Veterans Blvd. for prime lots and locations.